We honor the selfless service and sacrifice of the men and women of the United States Special Operations Command and it's assigned forces; to honor, promote, and preserve our Nation's illustrious special operations heritage by recognizing the achievements, service and sacrifices. 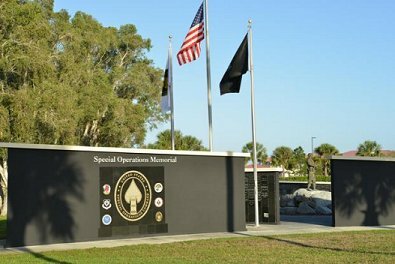 The Special Operations Memorial provides a unique tribute to special operations forces as the first and only truly joint memorial paying tribute to SOF personnel of all Services, global (all theaters), and recognizing international SOF. This is made possible by the voluntary contributions being made by today's active force, from their predecessors, relatives of SOF personnel, the civilian community, and through their respective special operations fraternal organizations. 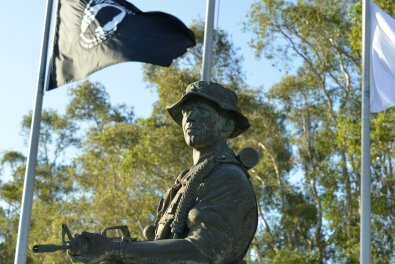 The Special Operations Memorial provides a unique tribute to special operations forces as the first and only truly joint, global and international memorial paying tribute to SOF personnel of all Services. This is made possible by the voluntary contributions being made by today's active force, from their predecessors, relatives of SOF personnel, the civilian community, and through their respective special operations fraternal organizations.